Shaw was a fan of Stubbs painting “Cheetah and Stag with Two Indians.” Sadly, this photo cannot show the ornate magnificence of the painting. 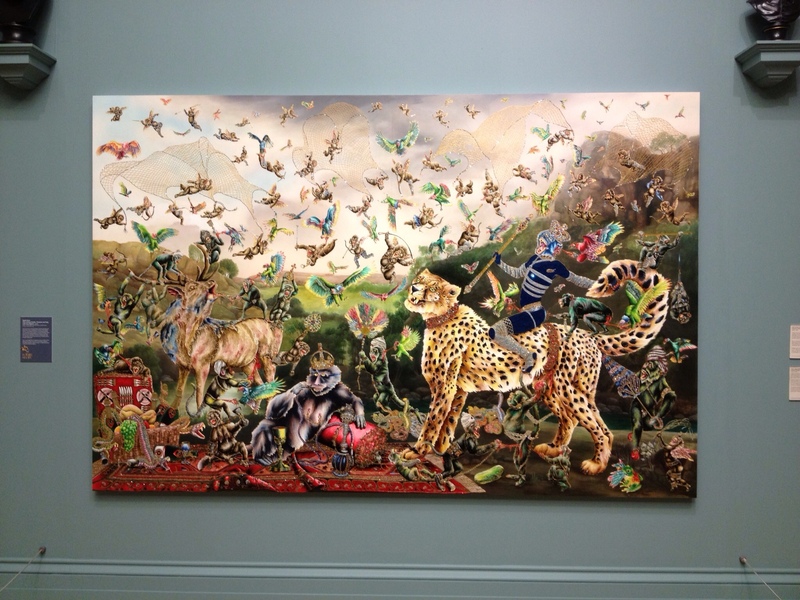 It is on display at the Manchester Art Gallery until 26 May along with other works by Shaw. They are worth viewing.